Want to know what we're up to? Sign up for our newsletter and visit our blog. 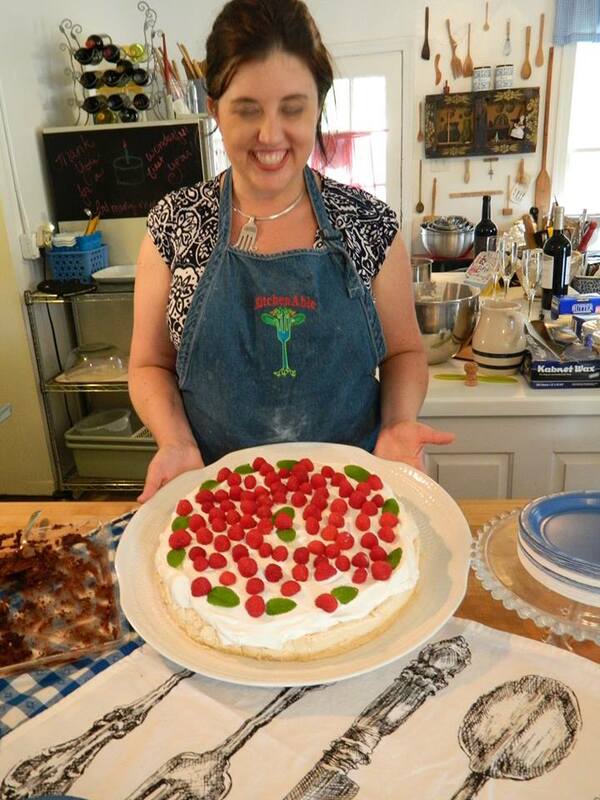 Learn more about KitchenAble and Chef Jessica. See our calendar of upcoming events and classes. Find and register for the ones you want to attend. Contact us for help with your next event. We offer a wide range of catering services that will help make your occasion memorable and delicious. -Our Regular Tuesday night class will be focused on “Local Fall Flavors” and will include Pulled Pork as an entree. 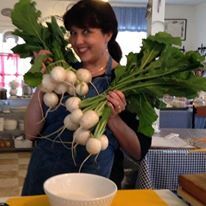 -Or on Friday, learn about Community Supported Agriculture and “Farm Shares” as Louise Divine of Turkey Hill Farm joins us in the kitchen with a crop of fresh picked delights… then watch as she and Jessica transform the harvest into dinner. Be sure to check out the Red Hills Small Farm Alliance website for the the full list of fabulous flavor opportunities! We are proud to be part of the Red Hill Online Market! Though we have been a member for a while, we are thrilled to announce that KitchenAble will be participating in the Red Hills Online Market as a producer! You are now able to purchase your favorite seasoning and gourmet loose tea from KitchenAble and pick them up when you get your other items from this CSA. Please visit the Red Hills Online Market site to learn more about helping this Community Supported Agriculture by joining and shopping from the local farmers, gardeners, beekeepers, bakeries, and restaurants they represent. It is a wonderful way to add flavor and nutrition to your diet while helping our community! When we recently received an email with “10 Authentic Things to do in Tallahassee” we were curious. We love our town and all of the fun things to do here; had we already done everything on their list? 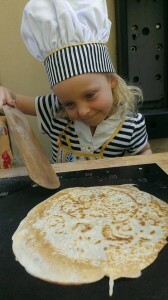 As we perused the list of fun activities (no, we hadn’t done all of them), THERE WE WERE! 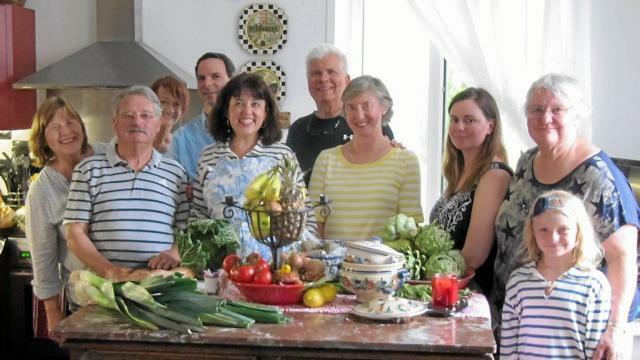 Yes, KitchenAble Cooking School made their list! Thank you so much for coming to Tallahassee Robin and for sharing a little about our town with the world. We hope you come back again, soon. Find the Authentic Florida blog on Tallahassee here. 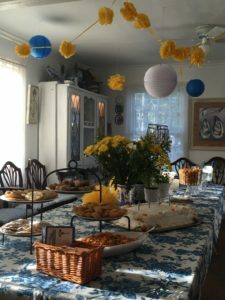 We’ve really had a busy summer at KitchenAble! If you’ve been following us on Facebook you have hopefully seen some of the buzz that we’re thrilled to have happen. In case you missed it though, here is a little media love we’re grateful for. 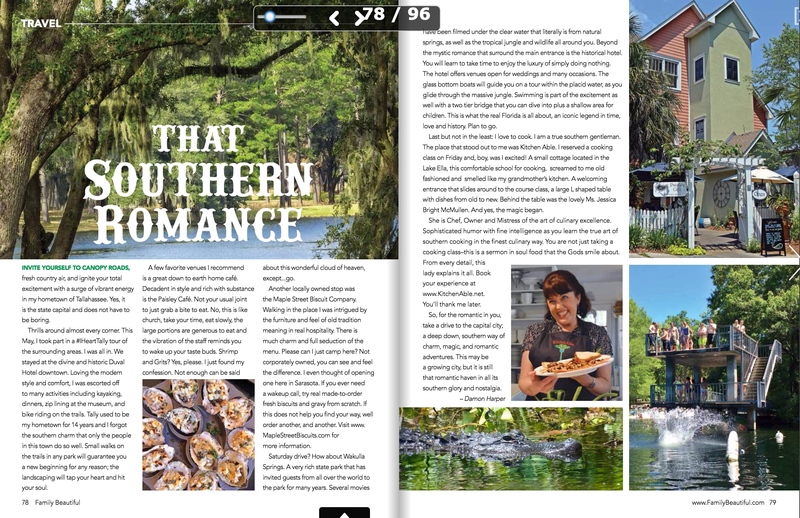 Florida Travel+Life recently mentioned KitchenAble in their article titled “6 Tallahassee Restaurants We Love”. Thank you for mentioning us! You can read the full article by clicking this link. Family Beautiful Magazine features KitchenAble (and our chef) in their Summer 2016 issue “Southern Comfort” on page 79 in their article “That Southern Romance”. You can read the full issue here. We were mentioned in Ouest France (a French Provincial Newspaper with 2.5 million readers). Article can be found here. We were also thrilled to be written about by a reporter from Le Telegramme and you can read what they said here. 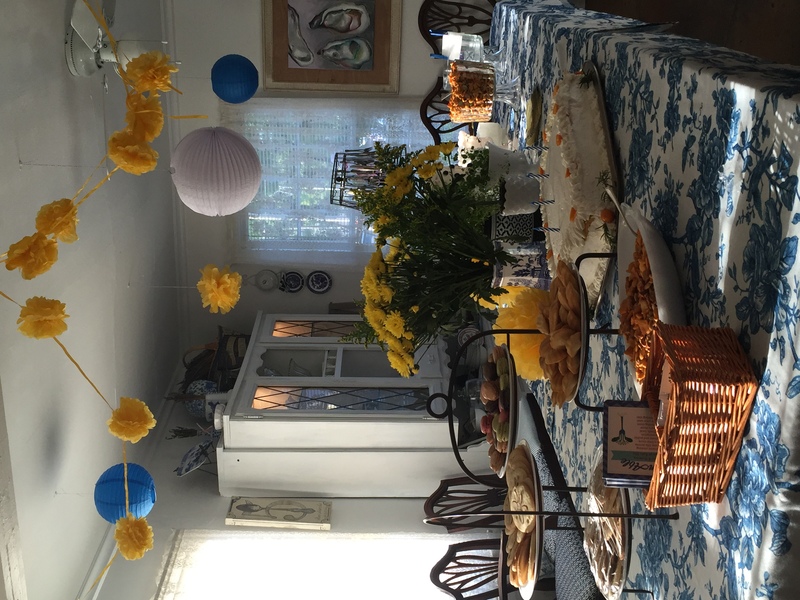 Thank you to everyone that took the time to visit our cottage for the Birthday-versary soiree on April 7th. It was such fun! We know that parking was an adventure since so many people were enjoying the ev ening at Lake Ella- thank you for patiently navigating that to be with us. Congratulations to Brent and Kaylyn who were our lucky winners in the drawings we held. If your card wasn’t drawn, you are still a winner! We’re celebrating a little longer by offering at $2.00 discount for any class or supper club booked online this month using the coupon code: Happy2nd. Just place your order (during the month of April) as you usually would and type Happy2nd as a coupon code in Paypal. We have been accepting registrations for our summer cooking camp for several weeks now and have been a little overwhelmed by the interest in our program. Due to the number of phone calls we are receiving we wanted to send a reminder that registration for our popular summer cooking program for young chefs is open online. Created for ages 6 and older our sessions are 10am-3pm, Monday through Friday. We are offering three different weeks of camp this year and each has a very unique menu: July 11-15, July 25-29, and August 8-12. (You can click on the links for each week to see their full menu description. By popular request the week of July 25-29 is Gluten Free! Total cost for each week of camp is $200 per participant and includes a delicious lunch each day, apron, and set of measuring tools! We do not have a maximum age for participants… we have even had grandparents attend with their grandchildren in the past. If however an adult wants to attend with a child they need to register online also. On Thursday, April 7th we will be celebrating our 2nd year at KitchenAble (and someone is turning 40!). 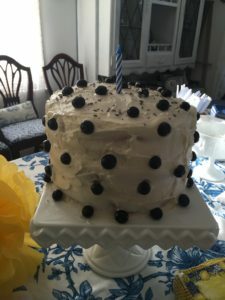 We hope you can drop by our cottage between 6 and 8pm to enjoy a piece of birthday cake! It will be a Food Truck Thursday, so please plan to stay long enough to enjoy a lovely night at Lake Ella with live music and an assortment of menus available for you to shop from the food trucks and then picnic with us. We are grateful for the truly blessed and wonderful year we have had and will be celebrating with door prizes and drawings throughout the evening. Please come and bring a friend! This event will be free (though you may make a purchase from the food trucks if you wish). You are welcome to bring your own beverage of choice. 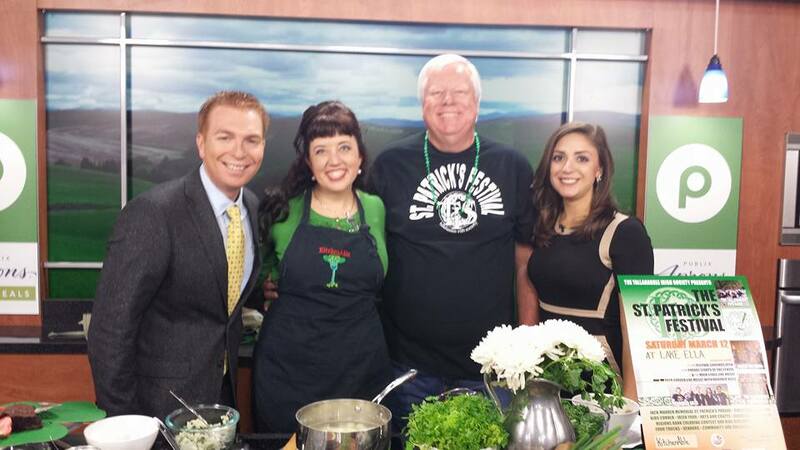 Cooking for the Irish Festival on WCTV this morning! It was a pleasure to join Asher Wildman and Natalie Rubino on WCTV’s morning show today. Jessica made colcannon and Ken Winker of the Tallahassee Irish Society shared about the Irish Festival this Saturday, March 12, at Lake Ella, noon-6:00pm. We hope you drop by KitchenAble during the festival to enjoy a delicious Irish meal! Click here to see the clip. Valentine’s Day will be here before we know it. Join KitchenAble for a free demonstration with tasting at Hearth and Soul on Saturday, February 6th starting at 10:00am (until noon). Chocolates and flowers are classic gifts to give those you love, Chef Jessica will show you a fabulous way to combine the two using a few gourmet ingredients you can find in Hearth & Soul . 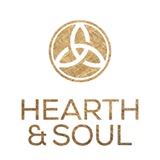 We hope you can join us: Hearth and Soul, D-1 1410 Market Street, between Chicken Salad Chick and Momo’s Pizza on Market Square. Tis’ the season of celebration and there are many wonderful things and foods that are part of our festivities. 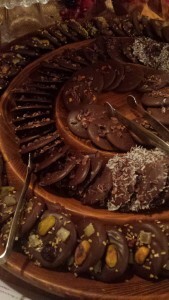 A favorite food for many at Christmas is the “Buche de Noel” or “Yule Log”. Chef Jessica’s recipe has made her quite popular this time of year- with this being her most requested dessert for catered gatherings. 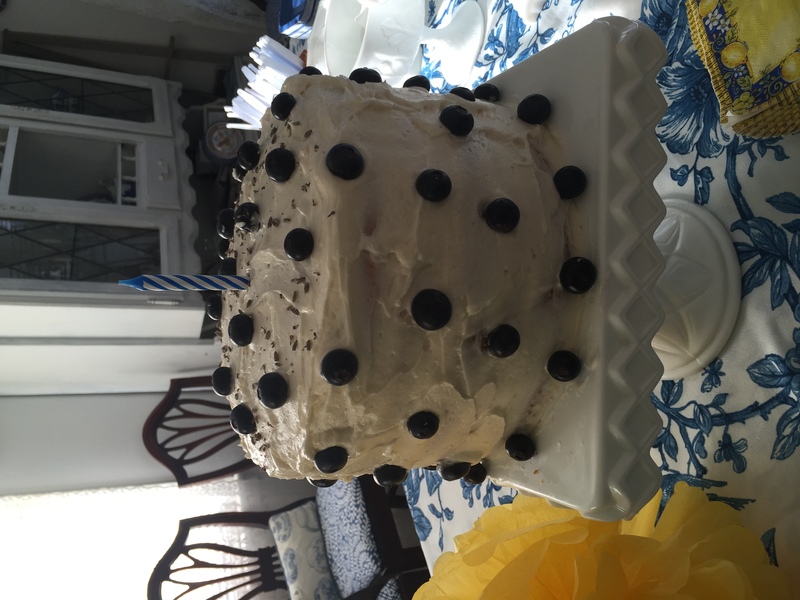 If you want to have one to share with your guests this holiday season you can order the cake from KitchenAble in your choice of size: small or large. Please give us at least 7 days advance notice or call if you need it for a specific date or event (and we are happy to prepare it on your personal platter). We are also happy to offer a very special, decadent treat: Magical Mendiants. These incredibly decadent disks of dark chocolate are all hand formed in a wide array of rich, beautiful flavors. Some of our flavor options include: Hot Chocolate (with organic Saigon cinnamon, raw organic cocoa nibs, and crushed chili pepper flakes), Coconut Cocoa (with dried organic coconut and raw organic cocoa nibs),Cardamom-Black-Pepper-Pistachio, Peppermint, Apricot and Nutmeg, Citrus Zest, Candied Ginger, Hazelnut Praline, Raspberry, Lavender, Dark Cherry, and Pecan- Cranberry. 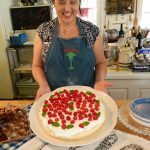 We make them in our cottage using the traditional French Technique and would be happy to package a platter for your next event or to use as a client gift. We will warn you- they are addictive! Call or email to order. *Both the Buche de Noel and Magical Mendiants are gluten-free.